When I was growing up, I used to watch a television show called Are You Afraid of the Dark? Each episode opened up with a group of middle school-aged kids who called themselves “The Midnight Society” and gathered around a bonfire in the woods after dark. Every week, an appointed narrator would regale the group with a scary story. Now, I haven’t seen that show for many years, so whether or not those stories would be nearly as terrifying for me today is unlikely. But the premise of that show underscores the fact that our culture consistently equates the absence of light with fear. In other words, only bad things happen in the dark. As a matter of fact, we do everything we possibly can to avoid darkness, and this aversion is conditioned into us from the time we are young. Children are told to come into the house as soon as it gets dark, and parents plug in nightlights to keep scary monsters away. As soon as the sun sets, streetlights and porch lights go on, and TV screens flicker in brightly lit houses. Even in bed, the glow of our phones, tablets, and laptops keeps darkness at bay for just one more text message, Facebook post, or email. 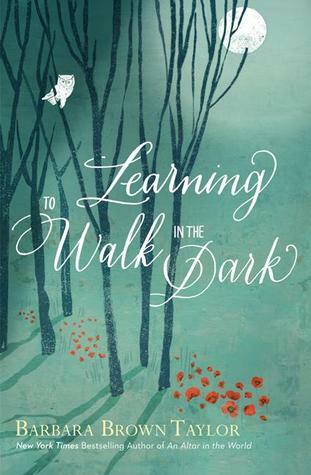 I wonder if our avoidance of literal darkness is indicative of an avoidance of something else, something deeper. After all, when we grow up and realize there’s no monster in the closet, that doesn’t necessarily mean we turn off the nightlight. When we grow up, rather, we discover the real monsters. Maybe it’s the threat of war or terrorism, or maybe it’s a new cancer diagnosis or impending surgery, or maybe it’s an addiction, or divorce, or prolonged unemployment, or… the list could go on. We live in a society that so much values and exalts independence and success that any symptom of dependence or failure or a reminder of our mortality is muted and shunned. We’re conditioned to avoid weakness, sadness, anger, depression, and illness, just as we’re conditioned to reach for a light switch as soon as it gets dark. We’re conditioned to avoid these things so much so that it seems there’s a “fix” for everything. Perhaps, then, what scares us most about the dark places of our lives is that we’ll find something we can’t fix. And so we don’t celebrate darkness. We celebrate light. Religion is perhaps the biggest perpetuator of this glorification of light at the expense of darkness. The Jewish people celebrate Hanukkah to commemorate the rededication of the Temple when there was only enough oil to burn the menorah flame for one night and it miraculously lasted for eight. Hinduism also has its own festival of lights, Diwali, one of the most significant festivals of the year that celebrates the victory of light over darkness. And while Christians all over the world traditionally gather for the Great Vigil of Easter in the dark of the night, it’s ultimately a celebration of Christ’s defeat of death and darkness. 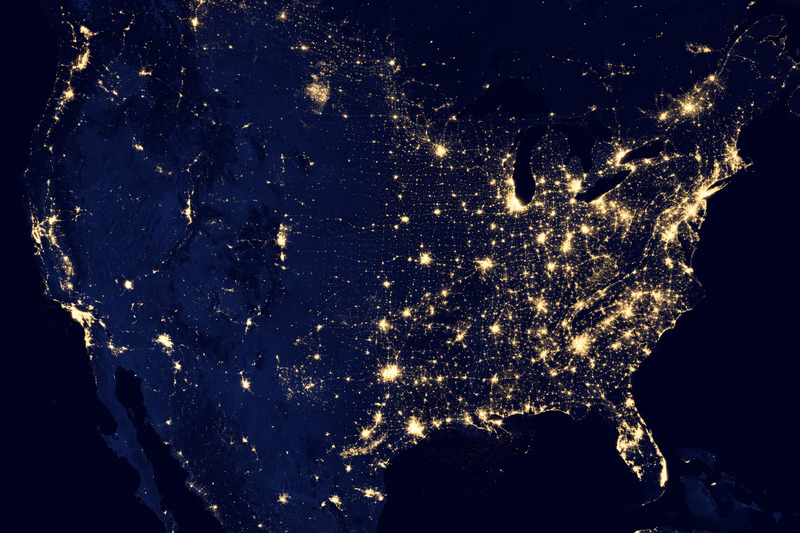 Contrary to what we might think, literal darkness is actually beneficial for us. The addition of the artificial light we use to dispel darkness can actually be harmful to our physical health because it impedes our natural sleep cycles. 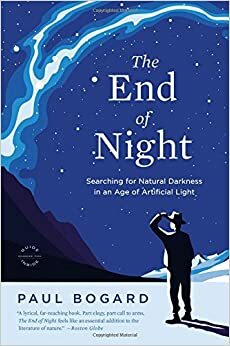 Journalist Paul Bogard, author of the book The End of Night, puts it this way: “One of the most interesting discoveries of the last few years is of cells in our retinas that aren’t particularly related to sight, but are sensitive to changes in daylight and seasonal light. The wavelengths to which these are most responsive are the blue wavelengths—which makes sense, because the sky is blue, and blue light means waking up. And more and more light in our society is of these wavelengths”—including all our gadgets and modern LED light bulbs. In other words, our attempts to flee from the darkness actually end up doing more harm than good. Taylor goes on to point out that, in the biblical tradition shared by Jews and Christians, darkness has often been the setting for some of the most profound encounters between humanity and the divine. It was at night that God appeared to and made a covenant with Abraham and Sarah. It was at night that Jacob wrestled with God and received God’s blessing. It was at night that God led the Israelites out of slavery in Egypt. And it was in the shadows of Mount Sinai that God gave Moses the Ten Commandments. These sacred moments in the dark actually brought God closer to God’s people. Perhaps this is what the poet Mary Oliver means in her poem “The Uses of Sorrow” when she calls darkness a gift. And I think Bogard is on to something when he suggests that our relative smallness makes us grateful for what we have here. 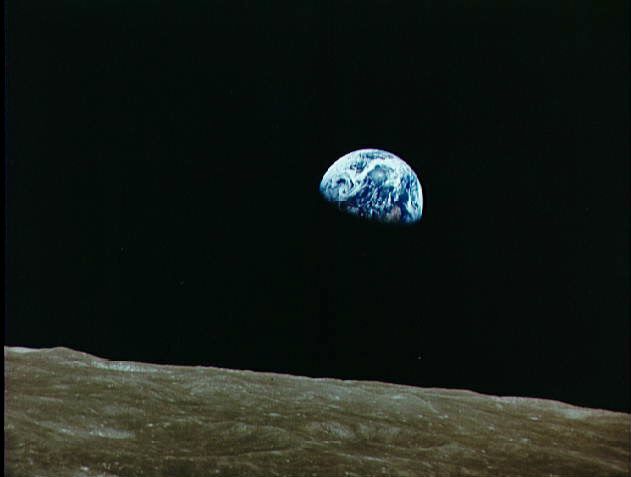 Like our spiritual ancestors who found intimacy with God or the divine in the darkness, the dark nights of our lives can also remind us of the interconnectedness of humanity. As the night comes down, the stars become visible. Only then can we see the constellations and connect the points between us and those by whom we are surrounded, those whose burdens we are mutually entrusted to carry. In darkness, isolation can cease to exist. What we need is to reclaim the value of darkness. I’m not suggesting we need to do away with light, but we do need to make room for darkness too. When we make room for darkness and savor those moments that remind us of our mortality, our humanness, we become more fully attuned to life. The cycle of the seasons attests to this. Every winter must, sooner or later, make way for spring’s new life. The profound nature of the unrelenting love of God is such that it is found even and especially in the dark places. That love, made tangible in those who surround us every day, is with us even when we don’t feel it. So embrace the darkness, look for the stars, and remember that in it all, you and I are deeply loved.